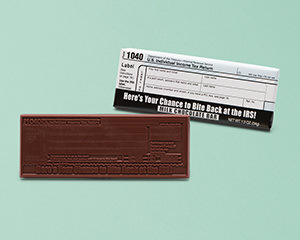 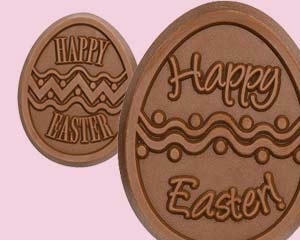 custom chocolate masterpiece with your logo or design. 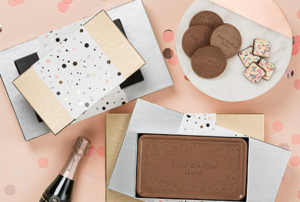 Let us help you deliver something truly unique! 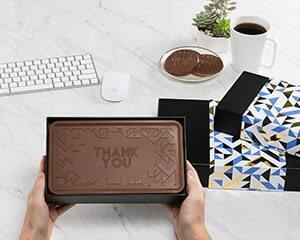 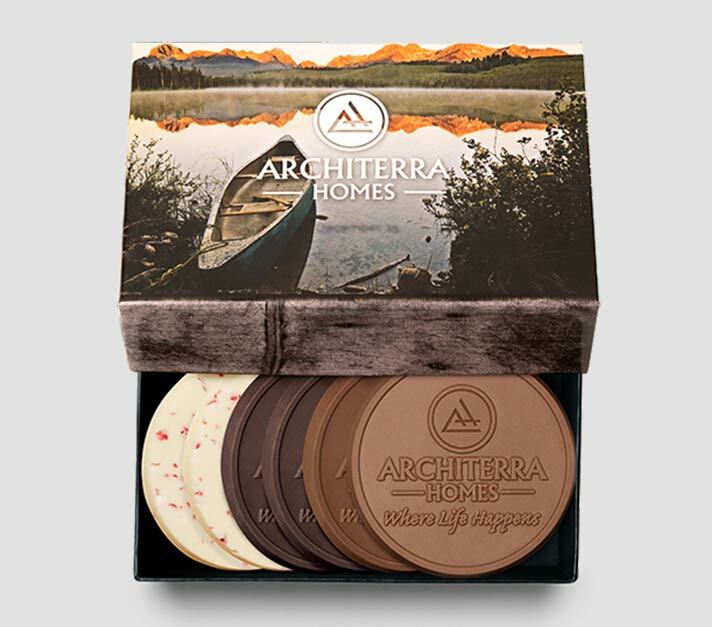 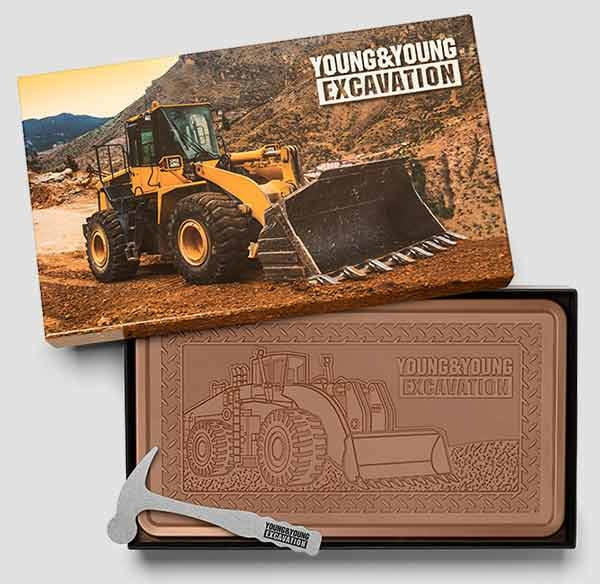 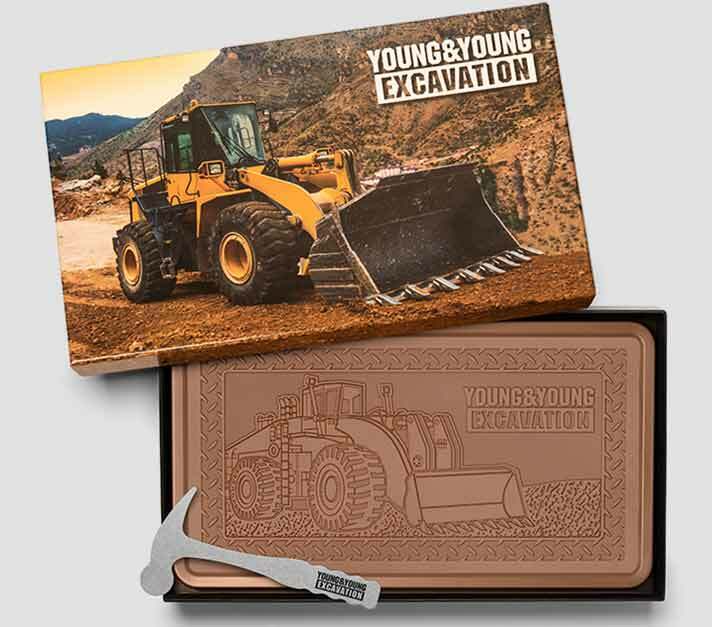 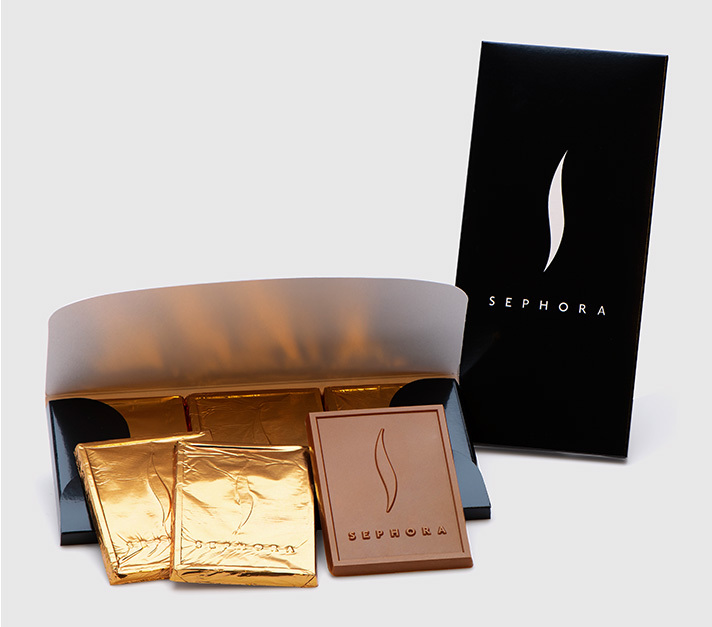 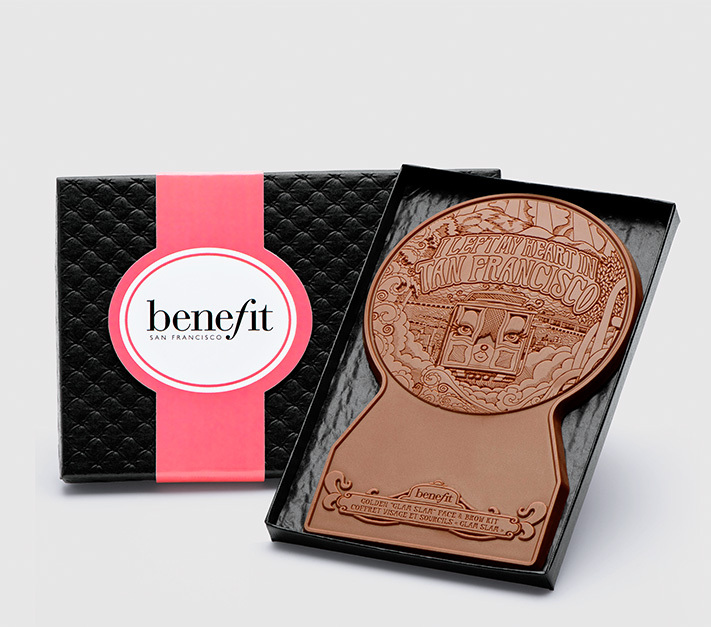 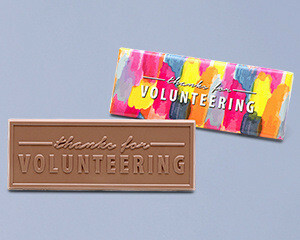 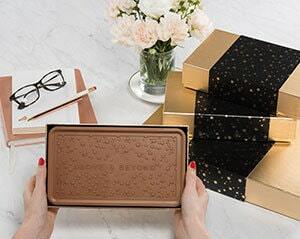 Corporate Thank You: Create and order wholesale or small-batch custom branded chocolate bars and cookies with your logo, ideal for marketing and client gifts, or as business and employee gifts. 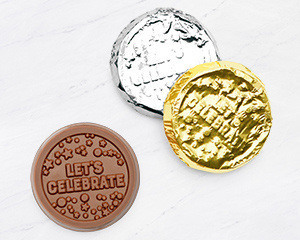 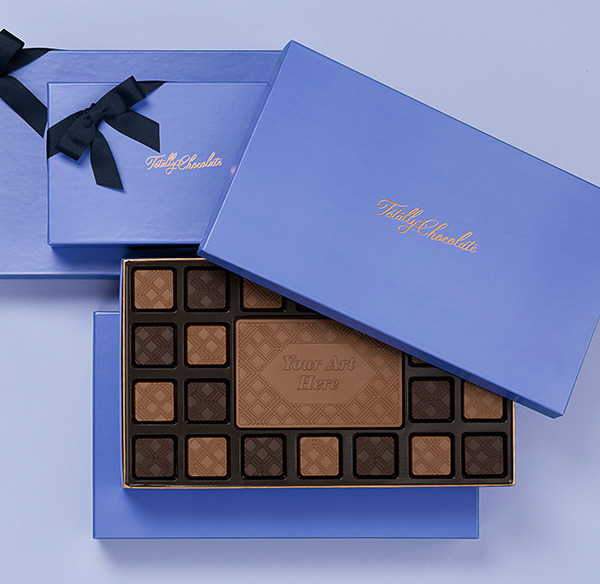 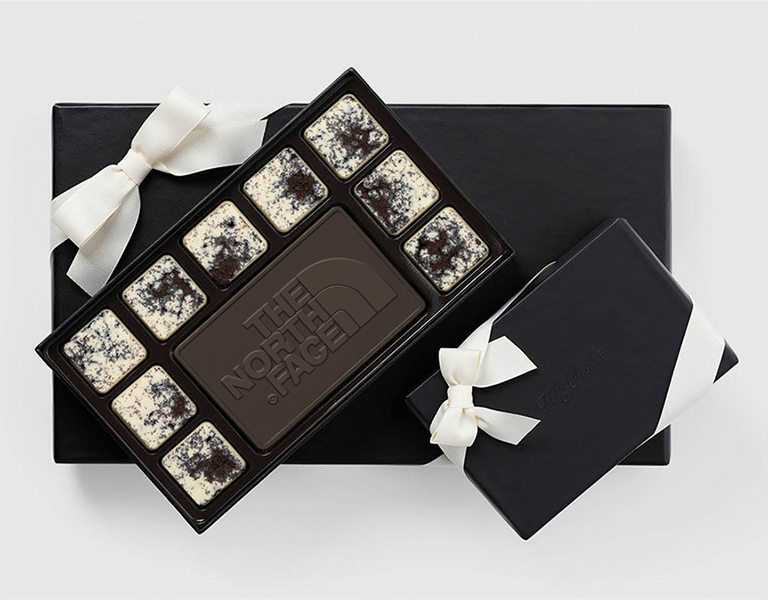 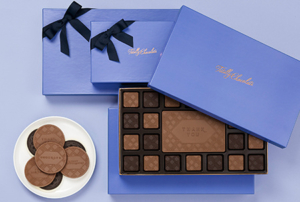 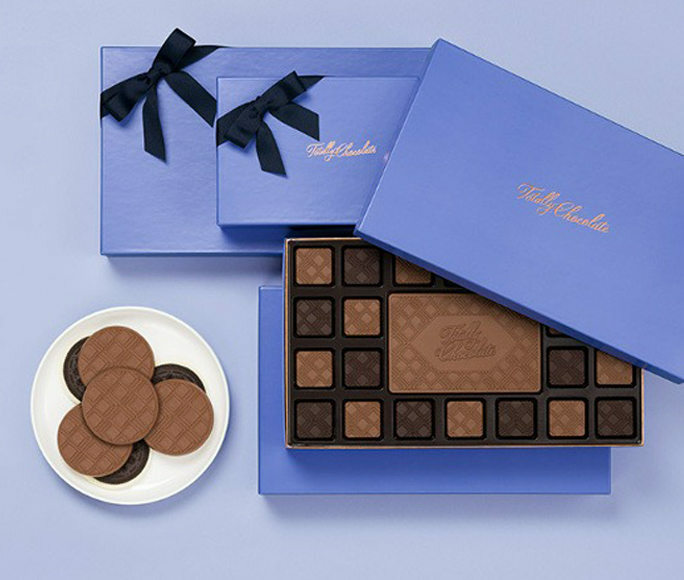 Personalized logo chocolates of thanks make unique luxury gifts. 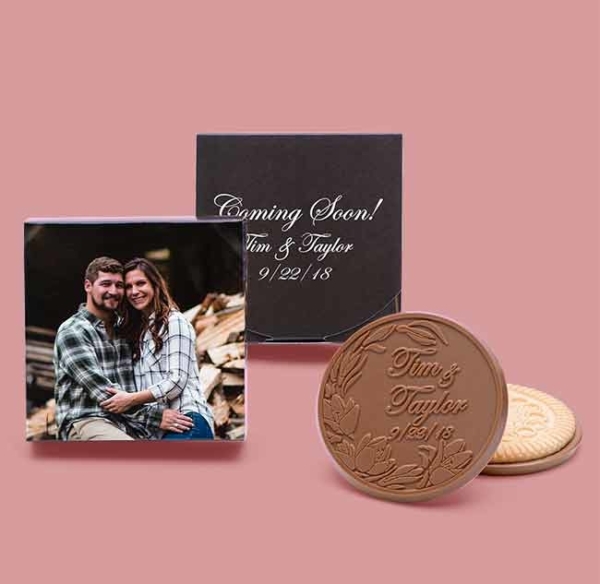 Custom Wedding Favors: Delight everyone with customized chocolate candy bars for weddings, anniversaries and special events. 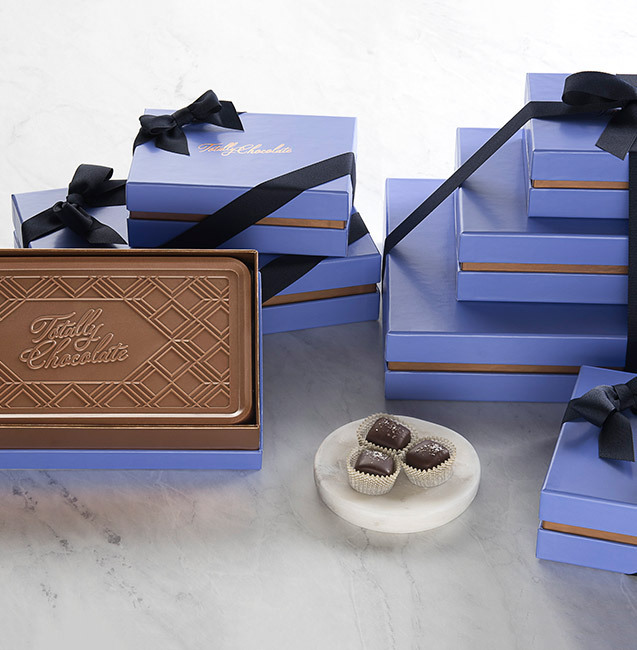 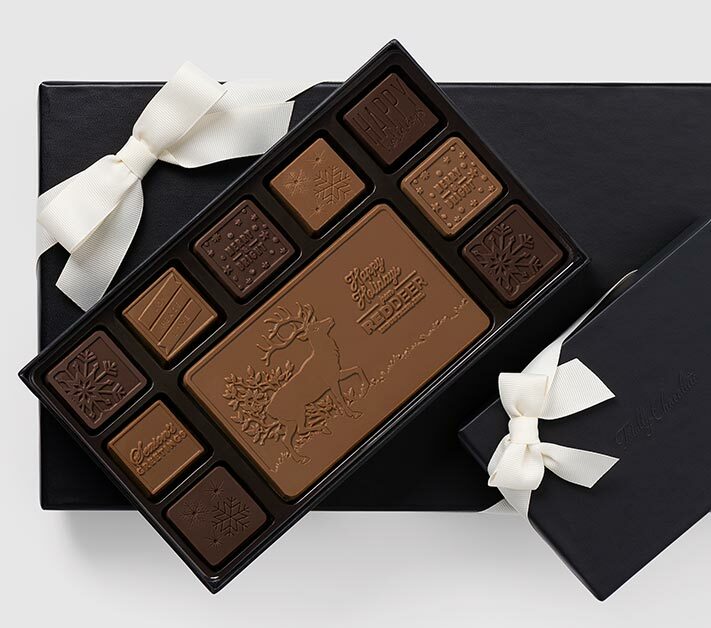 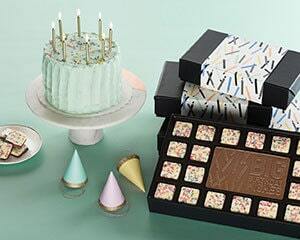 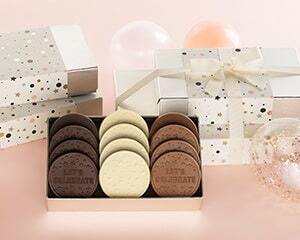 Our creamy dark and milk Belgian chocolate and packaging is fully customizable to match your theme and give a melt-in-the-mouth extra surprise they won’t forget! 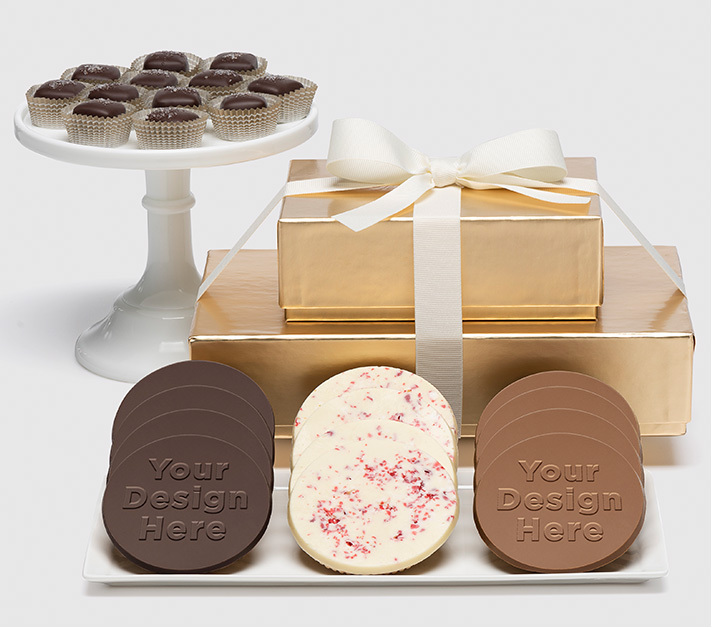 Custom Corporate Holiday Gifts: Beautiful personalized packaging and rich, creamy engraved Belgian chocolate with exquisite detail. 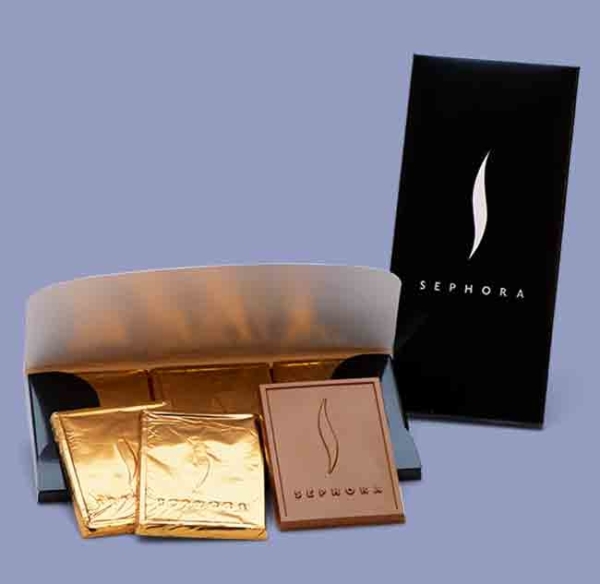 WOW your clients this holiday season with a cookies, bars or ensembles made to order.